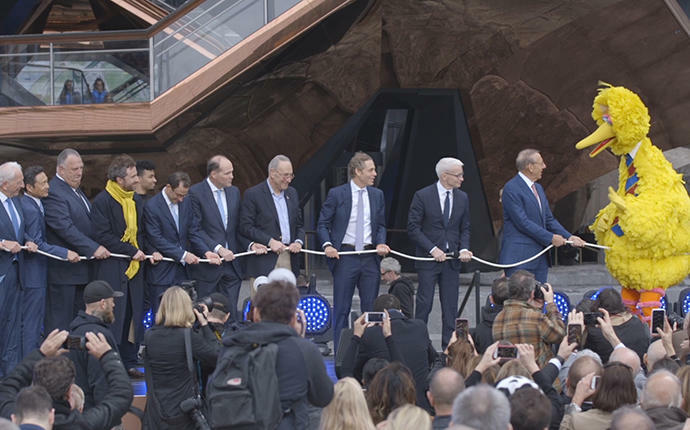 After Hudson Yards’ official opening ceremony on Friday — which featured guest speakers including none other than Big Bird — The Real Deal got a hold of the development team behind the $25 billion project. Ken Himmel, the president and CEO of Related Urban, spoke about opening the seven-story Shops at Hudson Yards amid a troublesome time for retail. And in light of the controversy surrounding Amazon’s incentive package to come to New York, Related Companies CEO Blau responded to questions regarding public funds pumped into the Hudson Yards neighborhood. Check out the video above to hear more from the developers behind the country’s largest private real estate project.